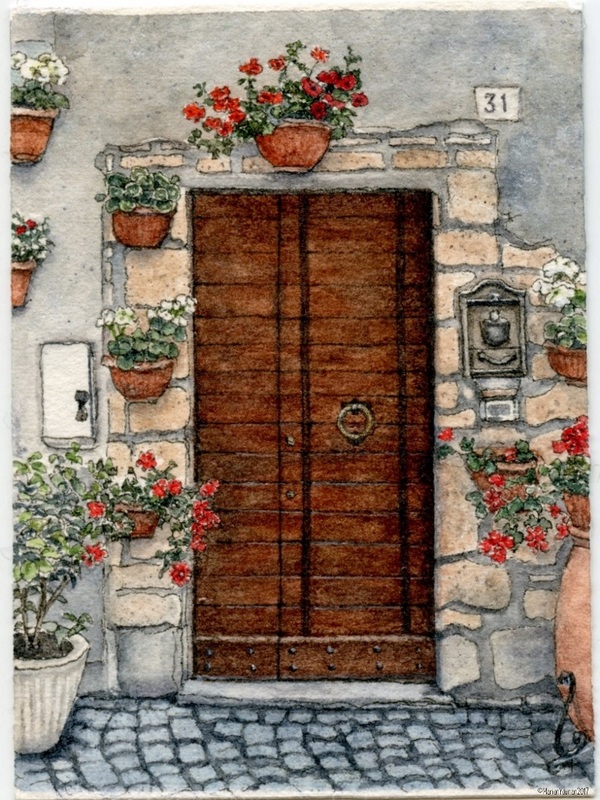 Did I mention I took dozens of door photos in Orvieto, Italy? 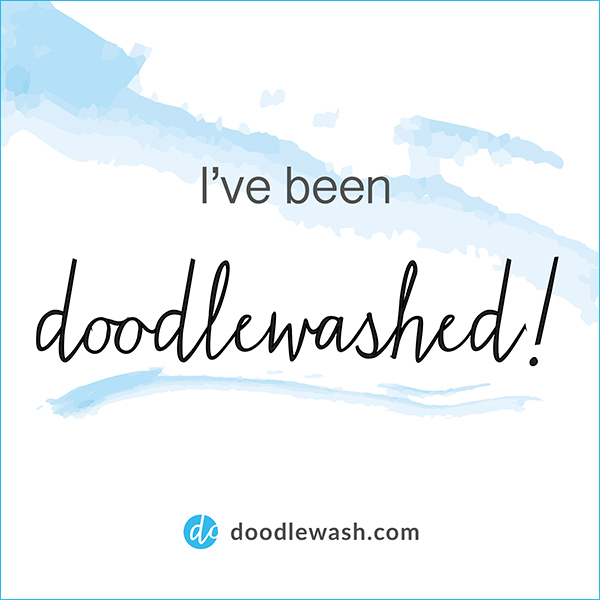 Think I did. 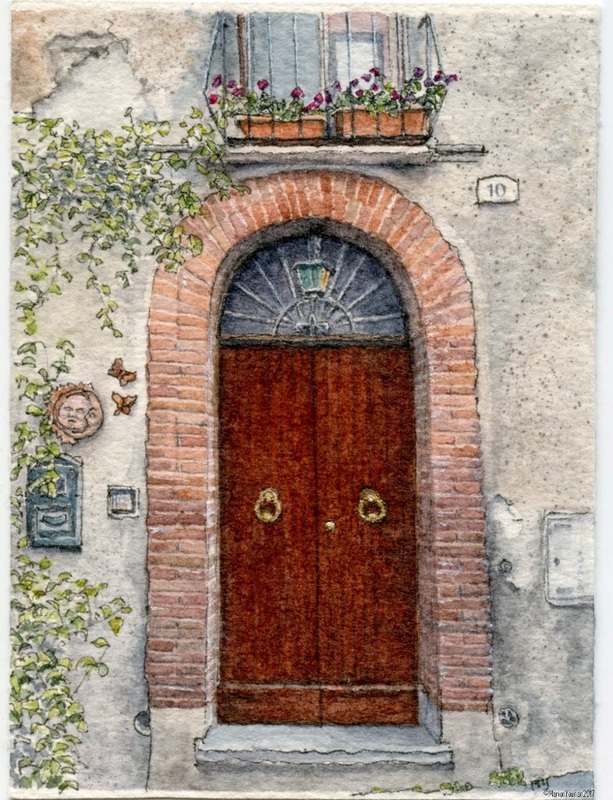 So you know more door paintings of Orvieto were coming soon! I went on a search for a particular building in Orvieto this past May – a house covered in wall pots. I saw it on the Internet and had an address for it, but once I was trouncing through the town’s streets, I discovered the address was wrong. Luckily I chanced upon it after 10 minutes of wandering aimlessly. I took loads of photos, and I can likely paint at least 4 good pieces from there. 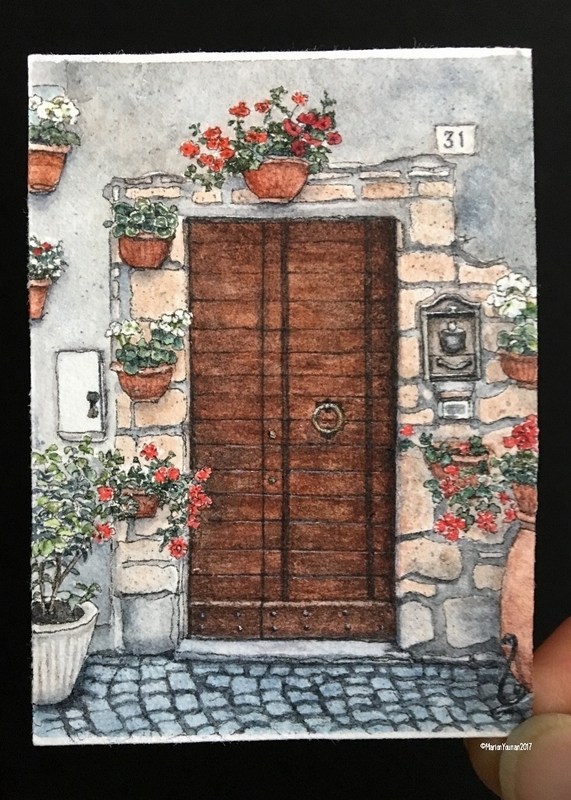 First up, the door! 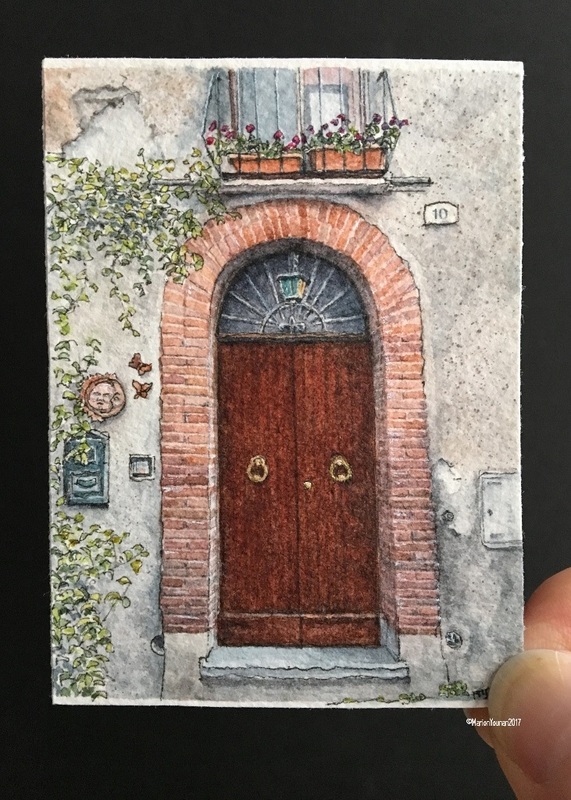 This piece is #81, “Orvieto Potted Door”.